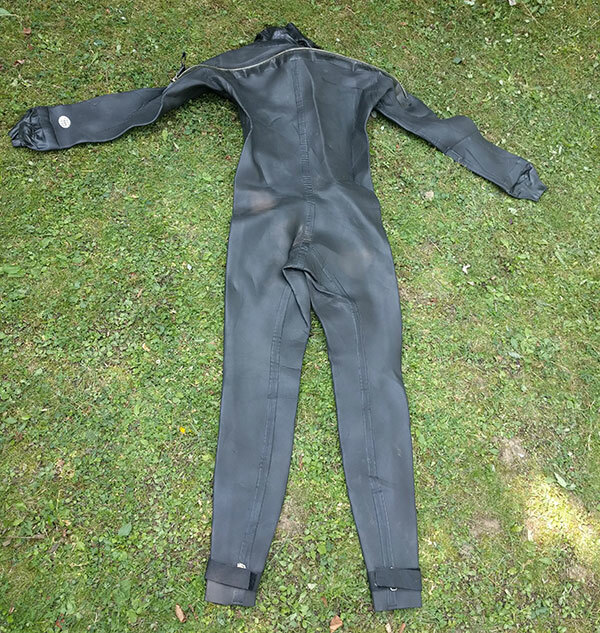 Very rare original 1980s Ronny smooth-skin, semi-dry wetsuit. 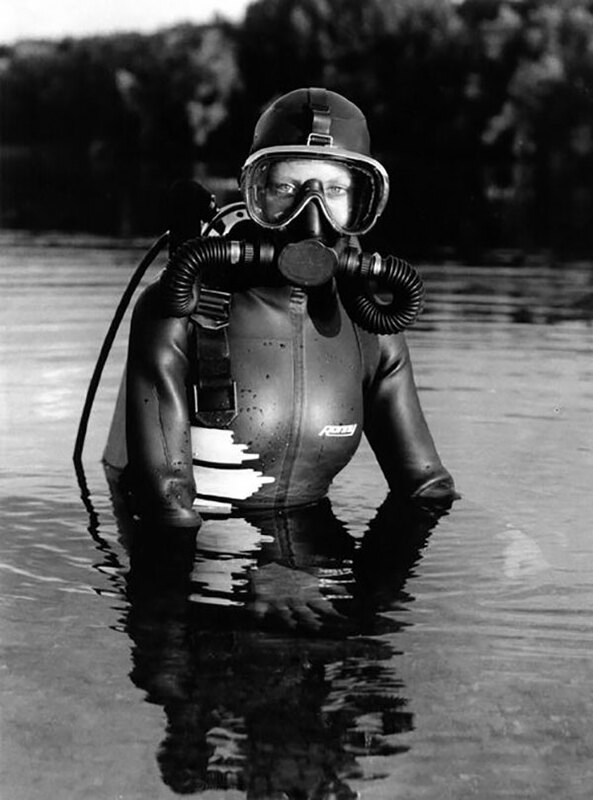 Last worn by my very first frogwoman, Claudia. 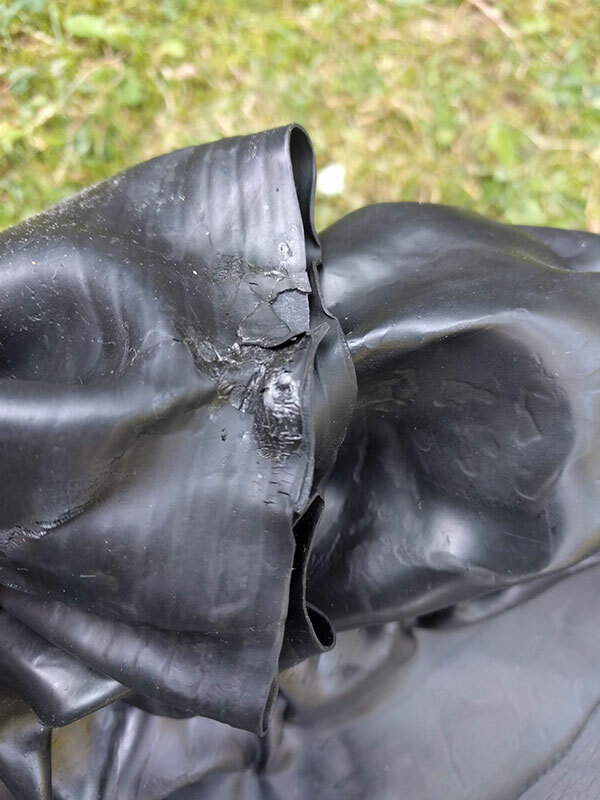 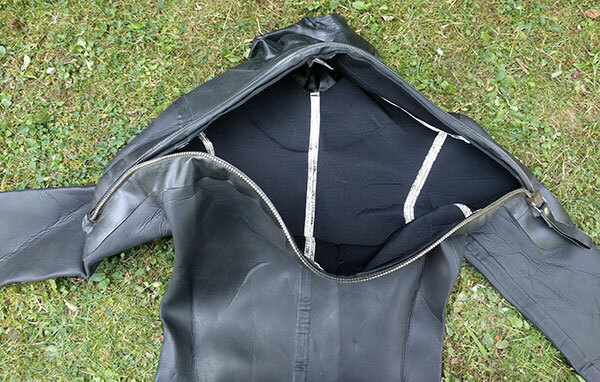 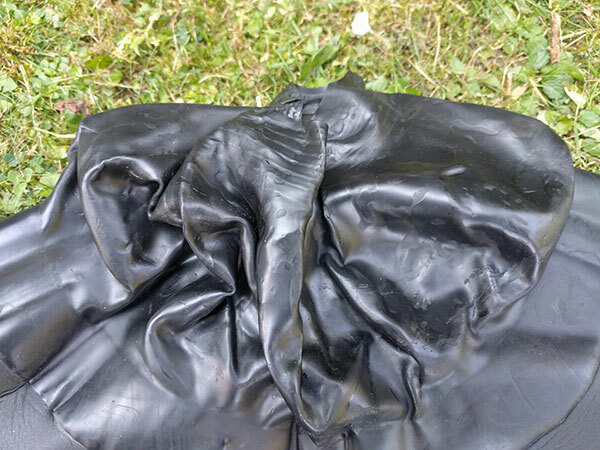 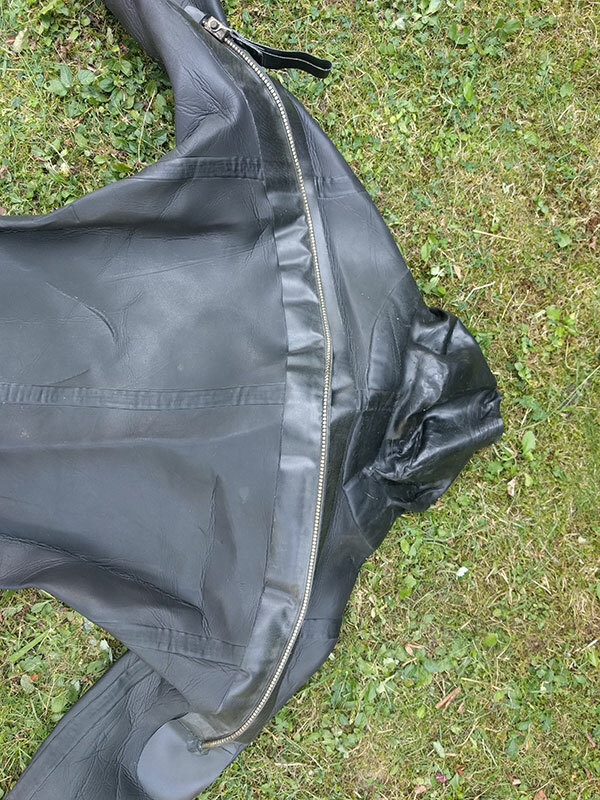 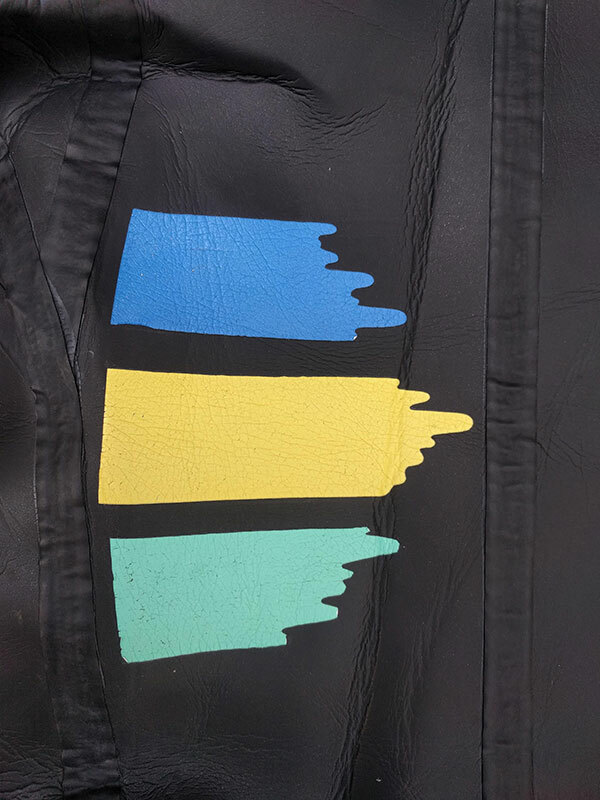 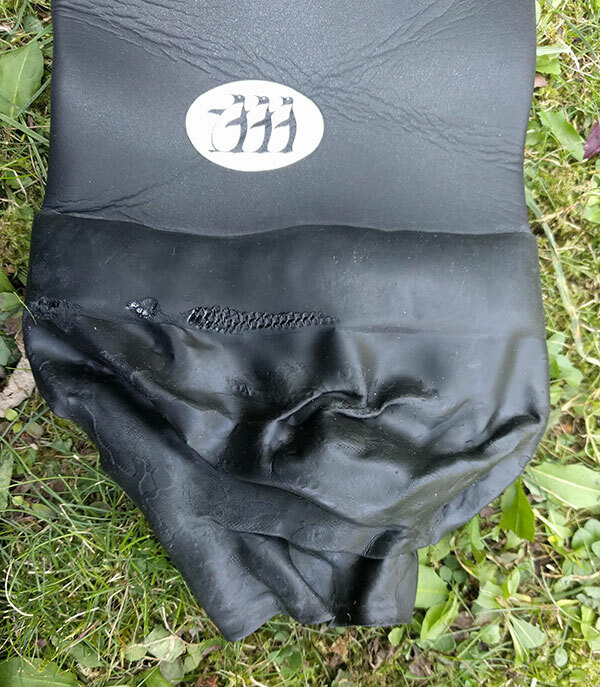 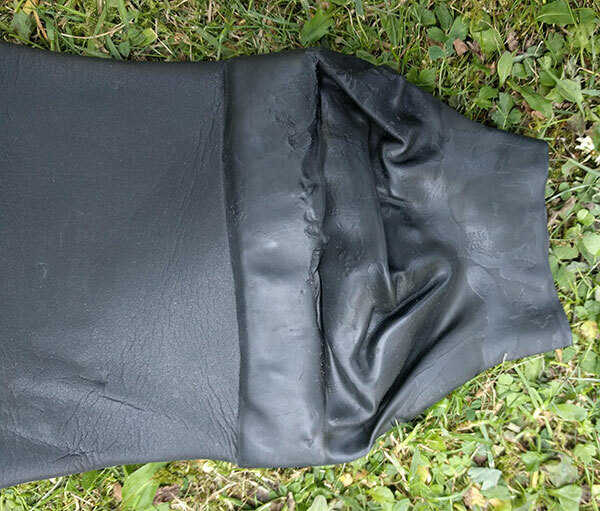 This suit is an original from the late 1980s, the neck and wrist seals will need to be replaced or removed as they have seen better days, but the smoothskin neoprene is still soft and supple and the seams are in good condition. 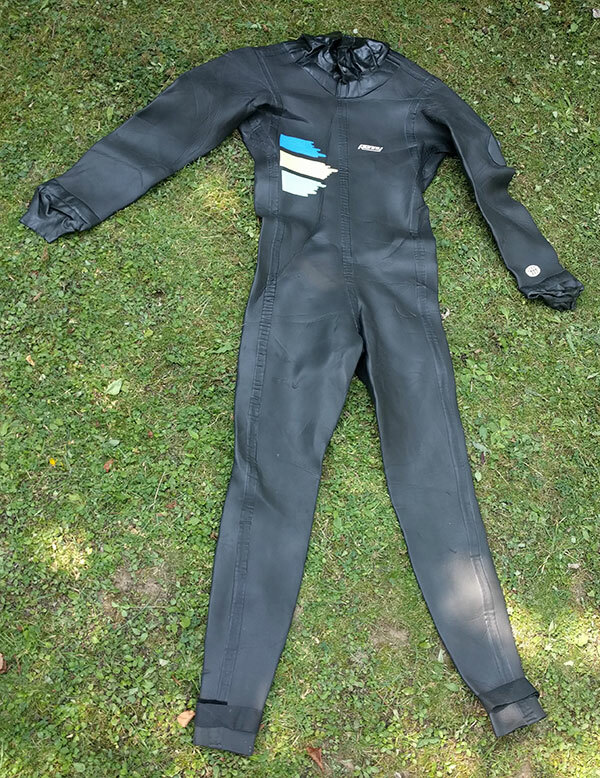 A very rare suit which will fit a medium sized woman up to 5'7 in height, or a small man. 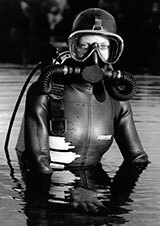 This sale is only for the suit, mask and other accessories are not included.